Mops are a necessity in every household. Whether you need to clean a small area like a bedroom, or need to clean your entire house, you’ll need a mop to get the job done. With this in mind, our team conducted extensive research to determine the best mops across four major categories – mops for tile floors, mops for wood floors, mop and bucket system, and sweeper mops. For more information on each category, check out our handy buying guide below. Read more about our methodology. 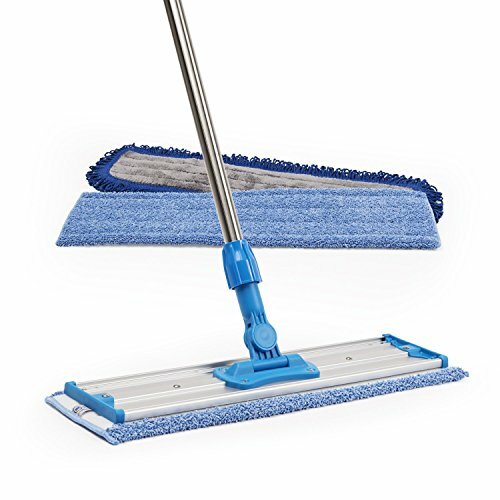 The Professional Microfiber mop is made from stainless steel and aluminum so it’s durable and built to last. It works well cleaning multiple surfaces either dry or wet, and comes with free extras. You can easily clean larger debris as well. The Jinclean Microfiber mop has a washing machine safe mop head and adjustable handle. It works well dry but you can also add detergents, if necessary. 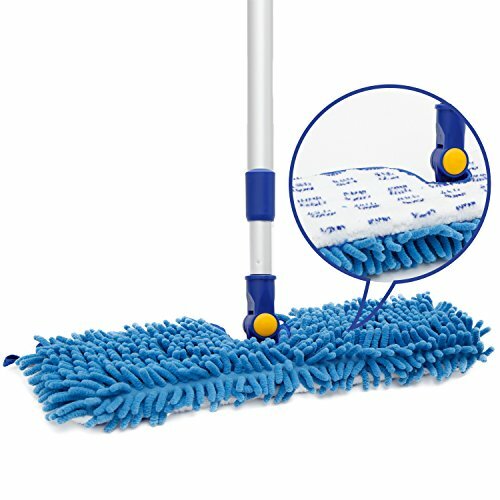 The mop head has a 360-degree swivel feature and it cleans multiple surfaces. The Bona Floor Mop is lightweight, durable, and safe to use on hard surfaces. It dries fast so there’s no residue left behind on your floor. You’ll also get a refillable cartridge included with your purchase. The Microfiber Mop from Temples Pride has a heavy-duty handle and doesn’t require any chemicals to clean your floor. No streaks get left behind while you clean and your purchase comes included with extra features. The MopRite Deluxe Spin mop has dual spinners and a dryer basket that keeps your hands clean and dry. It has a microfiber mop head that’s machine washable. You can use the mop on all surfaces throughout your home. 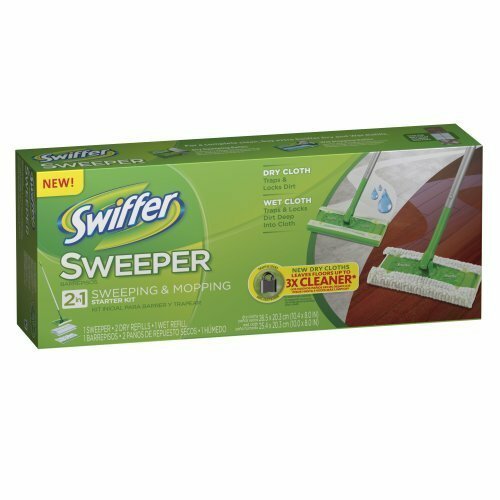 The Swiffer Sweeper cleans up to three times better than a broom, especially on dirt, dust, and hair. The thick dry cloth conforms to grout lines, and the starter kit comes with extra refills and sweeper. One of the first things you need to consider before you buy a mop is where you plan to use it the most. If you are using it in your home, what kind of floors do you have? If you have wood floors, you’ll want to consider getting a mop specifically designed to clean wood surfaces. If your home is primarily tiled, they also make mops that are safe for tile floors. Some mops are safe for multiple surfaces as well. So if your home has rooms with floors made from different materials, you should consider one of those mops as an option. You’re going to use this mop to clean dirt, grime, and bacteria from the floors of your home. How can you prevent those germs from spreading from use to use? Find a mop that has a washing machine safe mop head. After cleaning the floors, simply remove the mop head and put it in your washing machine. That way you’ll know it’s clean the next time you need to wash your floors. Some of the best mops have an adjustable handle feature. Take advantage of this tool to clean hard to reach places in corners or behind furniture. You’ll want to make sure that these mops are made out of strong and heavy-duty materials. That ensures that the mop is durable and won’t break when you extend the handle to its longest possible length. You’ll also need to determine if you want to mop with a wet or dry mop head. If you don’t want to use water, you can consider sweeper mops or mops with microfiber mop heads. These are great for cleaning dust, lint, and hair. For a deeper clean, you can go for a mop that has a bucket for water included in the package. Other mops even have a refillable tank so you can spray water or cleaning solution on the floor as you clean. If you want a mop that is versatile enough to clean wet or dry, those are available as well. For roughly $18 you can find a high-quality microfiber mop with a large head and adjustable pole handle. At that same price point, you can also buy a sweeper mop that comes with a full starter kit. For a little more, you can find a mop that cleans well across multiple surfaces, such as tile, stone, and other hard surfaces for about $40. These mops are perfect for home and office use because of their practicality. At a $50 price point, you can find a top of the line mop and bucket system. These come with dual spinners so you can adjust the dampness of your mop head while you clean without getting your hands wet or dirty. The Professional Microfiber mop has a large mop head, which makes it perfect for cleaning larger debris like pet hair. It’s made from heavy-duty materials like stainless steel and aluminum. Your mop can clean multiple surfaces and you’ll receive free extras with your purchase. Free extras included. When you purchase this mop, you’ll receive two microfiber wet mop pads, a microfiber dust mop pad, and a 6-foot adjustable mop handle. You’ll also receive to premium microfiber cloths absolutely free. Heavy-duty and durable. 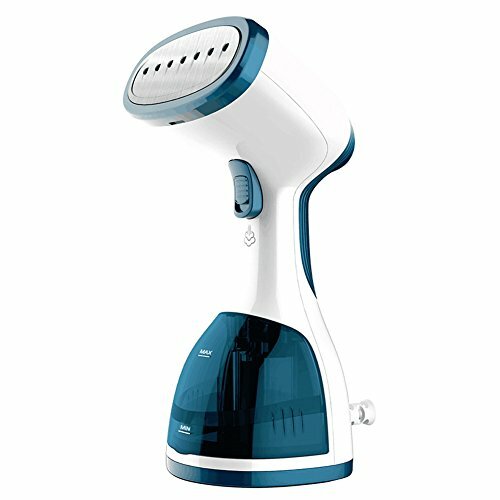 The adjustable handle is made from stainless steel, so you know it won’t break when you extend and adjust it. The frame is made from aluminum, so the mop is built to last without getting damaged. Cleans multiple surfaces. This professional quality mop can safely clean hardwood, concrete, laminate, tiles, and stone fast and effectively. It’s safe, which means it won’t damage the floors in your home. Collects large debris. The large mop head is great for collecting large piles of dust and dirt. It works great on pet hair and other clumps of hair. You can also use the wet mop pads to get a deeper clean. Delicate swivel hinge. Some customers reported problems with the swivel hinge getting damaged or broken after owning the mop for a long time. The Jinclean Microfiber Floor mop has a 360-degree mop head that swivels to reach around corners and angles. 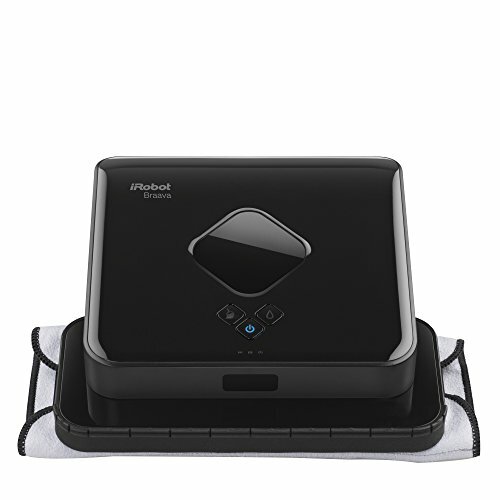 It cleans multiple floor surfaces, has an adjustable handle, and the mop head is washing machine safe. You can also add cleaning detergents for a deeper clean on your floors. Washing machine safe. Clean your mop head in between uses in your washing machine. You’ll know that your mop is always clean and you aren’t spreading dirt or bacteria on your floors when you use it. Adjustable handle. The mop ranges from 30” to 51” with the adjustable pole. You can use the long extension to reach difficult areas underneath furniture. It’s also durable, so you won’t have to worry about it breaking when you adjust. Works dry or with detergents. Based on the surface or personal preference, you can use the microfiber mop head while it’s dry or with detergent. It has amazing absorbency for detergent but still has gentle brushing capability. 360-degree mop head. You can swivel the mop head 360 degrees. This feature allows you to turn and maneuver around obstacles in your home while you’re cleaning. It’s perfect for turning corners and angles. Great on various surfaces. The microfiber cloth is safe and efficient for multiple surfaces in your home. IT works on tile, vinyl, wood, and glass, so you don’t have to switch mops for each room. Doesn’t last long. If you constantly put the mop head in the washing machine, it might start to come apart. 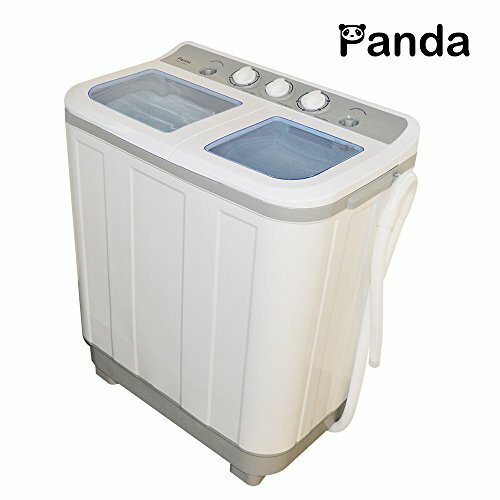 Although it’s washing machine safe, it has durability problems from prolonged washing. If your home has tile floors, you will definitely want to consider a mop specifically made for tile. One of the most important reasons to find a mop that is tile specific is to avoid damage to your floors. The Bona Floor Mop comes with a refillable cartridge. It’s safe to use on hard surfaces like tile, and it’s lightweight and durable. Surfaces dry fast so you don’t need to worry about residue getting left behind on your floor. Lightweight and durable. 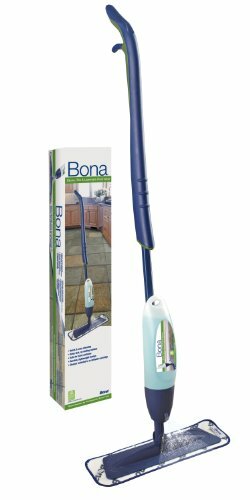 The Bona Floor Mop is easy to use because of its unique design. It’s lightweight, so you won’t struggle but durable enough that it won’t break or bend while you use it. Refillable cartridge included. When you buy the Bona floor mop, you’ll get a refillable cartridge with your purchase. The cartridge is an essential feature for cleaning your tile floors. Safe for hard surfaces. The Bona Floor Mop won’t damage your tile floors. It’s safe to use, and you won’t have to worry about ruining your hard tile surfaces. Dries fast. Tiles won’t stay wet for long when you use this fast drying mop. Since it dries quickly, there will not be any dulling residue left behind on the floor when you finish cleaning. Not great for uneven tiles. If you use it on tiles that aren’t flat, the mop head isn’t deep enough to clean the hard to reach pockets in the stones. Mops that are made specifically for wood floors are safe to use and won’t cause any scratches or harm to wood surfaces. Some of these mops are also versatile enough to use on other surfaces, such as tile, as well. You can clean your wood floors without any streaks left behind with the Temples Pride Microfiber Mop. It has a heavy-duty handle that’s strong and won’t break while you clean. The mop works without any added chemicals and comes with extras in the package. No chemicals needed. Harmful chemicals can damage surface areas in your home. The Temples Pride Microfiber mop removes up to 99% of bacteria without any added chemicals. Heavy-duty handle. The strong handle is built to last. You don’t need to worry about the mop breaking while you extend towards hard to reach areas or apply some pressure to clean up a mess. No streaks left behind. Your mop head won’t leave behind ugly streaks on your floor. It also won’t leave trails of wool, lint, or dirt that lesser quality mops can’t pick up with the first pass. Extras included. 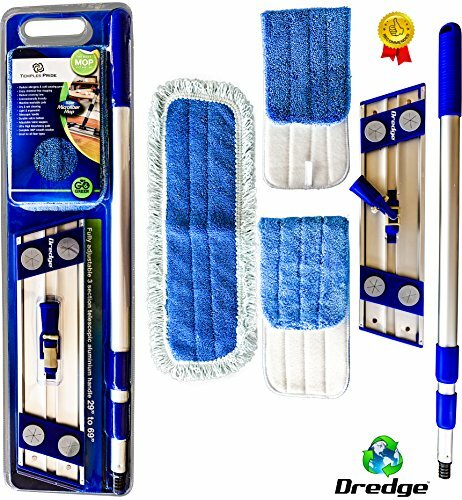 The Temples Pride package comes with a telescopic mop handle and microfiber mop head with Velcro and top cloth holders. It comes with two drag and friction microfiber pads and a super fine dry microfiber pad. Works best pushed forward. You’ll have some trouble if you want to pull the mop towards you while you’re cleaning. The mop was designed for you to push it rather than pull it. If you use liquid while mopping your floors, a mop and bucket system is the way to go. The best mop and bucket systems come with a spinner to keep your hands clean and dry while you’re mopping and avoid getting too much liquid on the floor. You can keep your hands clean and dry while you use the MopRite Deluxe Spin mop. In between uses simply put your microfiber mop head in the washing machine for an easy cleanup. It has dual spinners that make it easy to use and it’s safe to clean on multiple floor surfaces in your house. Duel spinners. 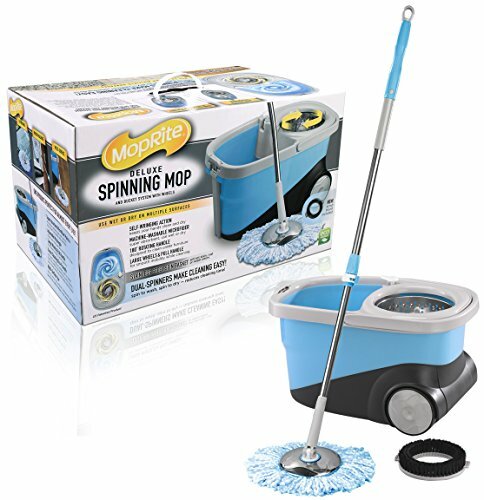 The MopRite Deluxe mop has dual spinners that reduce your cleaning time. The spinners also make the mop easier for you to use since it loosens dirt and in the water reservoir. Keeps your hands dry. It has a dryer basket with self-washing and wringing action that requires no physical effort on your part. You can keep your hands clean and dry while the mop head holds your desired level of dampness. Machine washable mop head. The microfiber mop head is machine washable. You never have to worry about cleaning floors with a dirty mop. Simply put your mop head in the washing machine in between uses. Safe on multiple surfaces. The MopRite Deluxe Spin Mop works on hardwood floors, laminates, ceramic tile, linoleum, marble, stone, granite, vinyl, and glass. It works well across multiple rooms in your home without damaging the floor. Doesn’t work without spinning mechanism. If something happens to the spinning mechanism, the mop is pretty much useless. A couple customers reported some problems with the spinner after prolonged usage. Sweeper mops are a great solution for cleaning dust, lint, dirt, and hair quickly and efficiently. These mops are small and easy to use. They are lightweight and easy to maneuver in hard to reach corners or areas in your home. The dry cloths are made to conform to the cleaning surface, so it traps dirt and makes the cleaning process easier for you. Wet cleaning cloths also are available for sweeper mops. Swiffer Sweeper's dry cloths conform to multiple surfaces of your home floor, including grout lines to clean lint, dirt, and hair. The starter kit comes with extra refills and a sweeper as well. It cleans up to three times better than a traditional broom. Cloth conforms to surfaces. The thick, dry cloths conform to grout lines and varying floor surfaces. It traps lint and dirt in hard to reach places in your home. Works up to 3x better than a broom. It cleans three times more than a broom for dirt, dust, and hair. It’s a more effective way to clean up your home than a more traditional broom. Comes with extra refills. The Swiffer Sweeper starter kit comes with two dry refills and one wet refill. You’ll also get a sweeper included with your Swiffer starter kit, so you can get started cleaning right away. Can’t use on all surfaces. The Swiffer Sweeper cannot be used on unfinished surfaces, oiled or waxed floors. It also cannot be used on wooden boards, non-sealed tiles, or carpets.